Quinoa Chili is higher in protein than regular chili, which is pretty high anyway since you have the beans and meat. This is a great dish to experiment with quinoa if you have not used it before. Yesterday I posted a Quinoa breakfast dish and so today I wanted to highlight a lunch or dinner recipe. Quinoa is a seed, not a grain and so it is gluten free which is why it has risen to popularity in the past year or so. It is also very high in protein. Often you will see it in salads and many times it is red in color and not the white that I have here. You make it just as you would rice and it has been a staple in for thousands of years in the Andes. 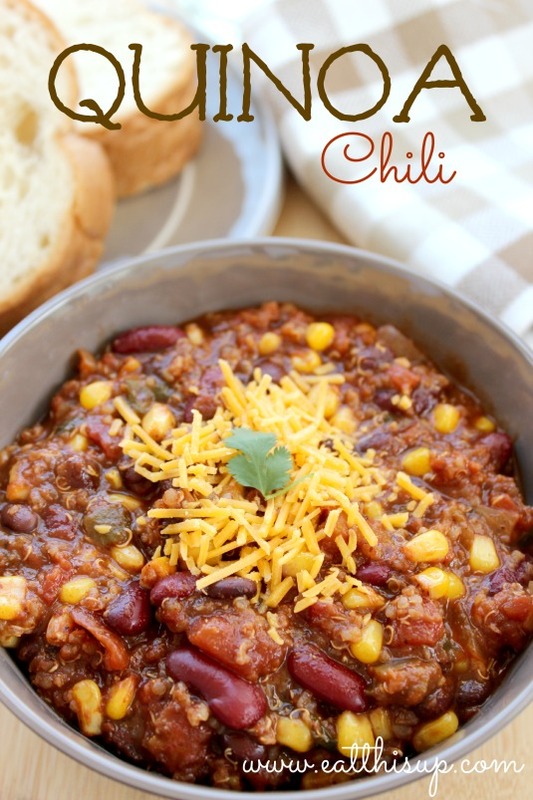 There is nothing complicated about this recipe, basically your typical delicious chili. The addition on the Quinoa adds a lot of nice texture, flavor and protein! 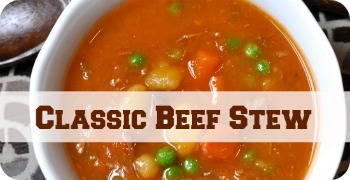 Try this one in the crock pot as well! Add all remaining ingredients except beans, corn, cilantro and lime juice. Bring mixture to a boil, reduce heat, cover and simmer for 30 minutes. Add in remaining ingredients and cook 10 more minutes. 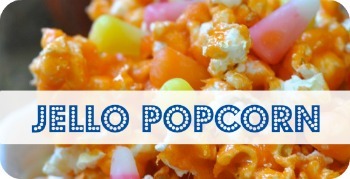 Serve with optional toppings and sides (cheddar, sour cream, green onions, avocados, etc.). Tried these, delicious…it is a keeper. I made some changes though, used Aylmer No Salt diced tomatoes, used Hunts’No Salt Tomato Paste for tomatoes, reduced salt from 2 tsps. to 1/2 tsp., used kidney beans with No Salt Added and did not drain kidney beans for chili was on the thick side…used Italian parsley instead of cilantro (family preference)…loved it and am freezing it. 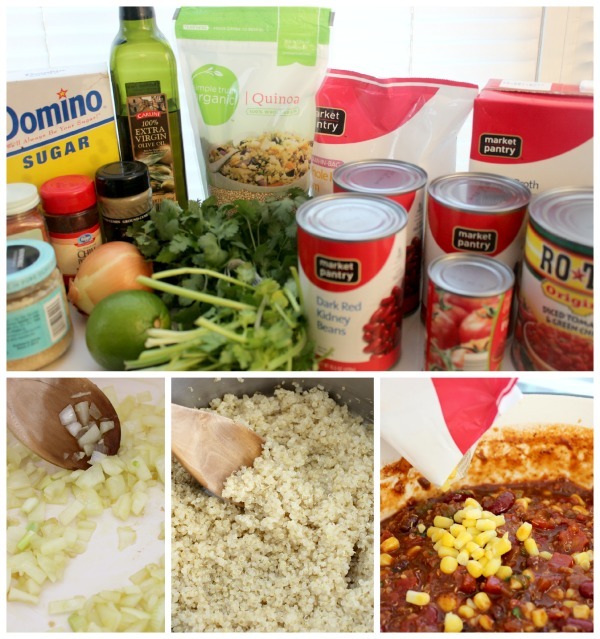 This was the first time that I used quinoa and this recipe encouraged me to use it more…best recipe!!! Do you think this could be somehow done in a crock pot?